Puerto Rico’s golden age returns. Through you! 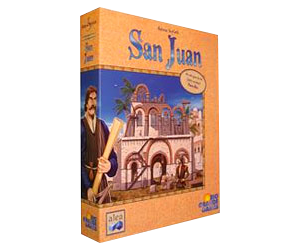 The card game version of the classic Puerto Rico cleverly replicates many of that game’s mechanics in card form—and can be played by two players. A bit dry, but clever and engaging. Any chance that this will be updated for the second edition rules? I didn’t even know there was a second edition. No plans at this stage I’m sorry, just too many things in the queue!